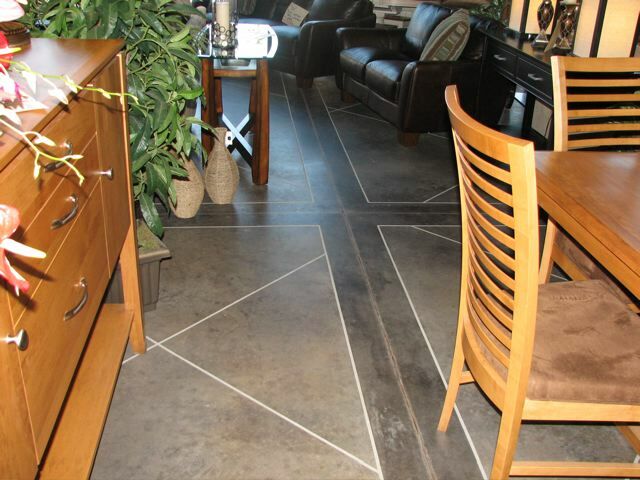 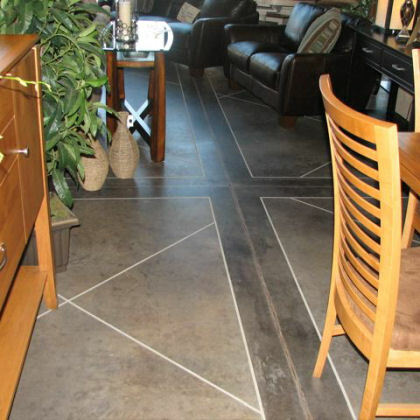 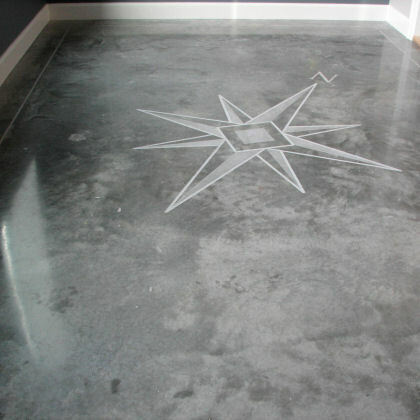 Thank you for considering Sunwise Systems as your decorative concrete specialists. 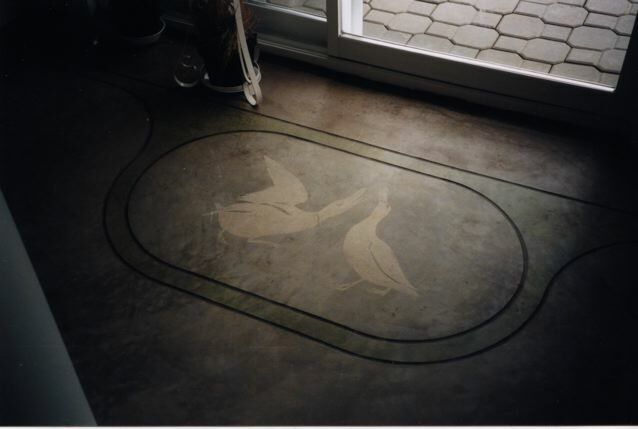 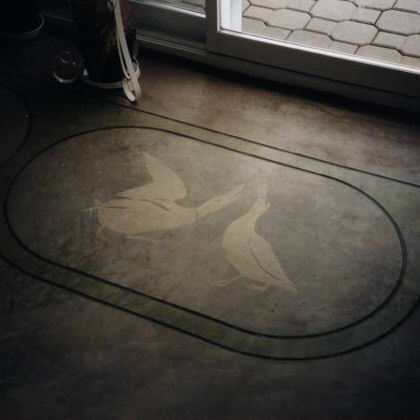 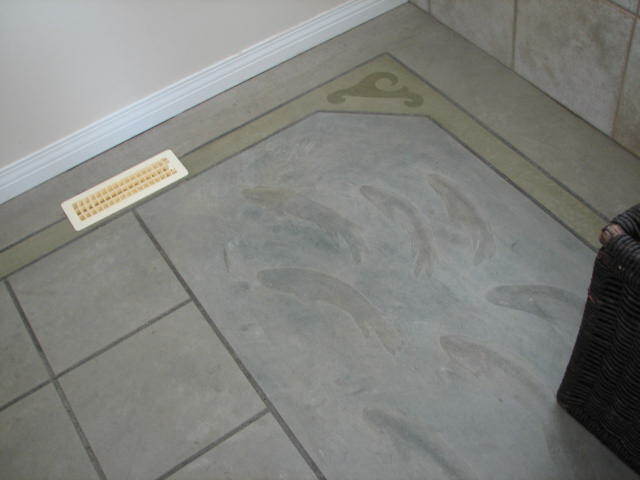 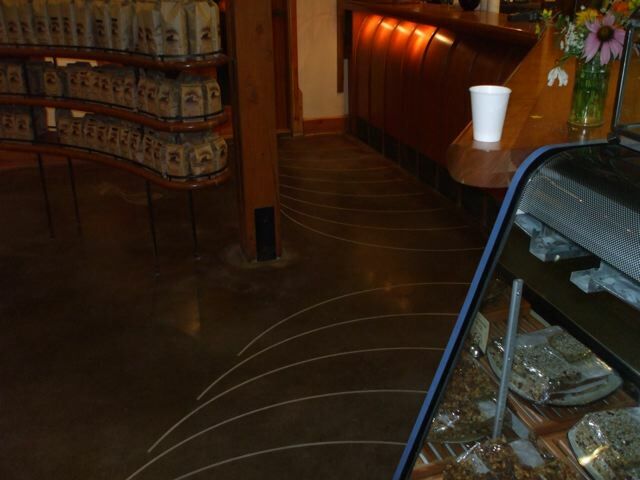 Over the past 20 years, Sunwise Systems has provided decorative concrete floors to hundreds of businesses and homeowners throughout western Canada. 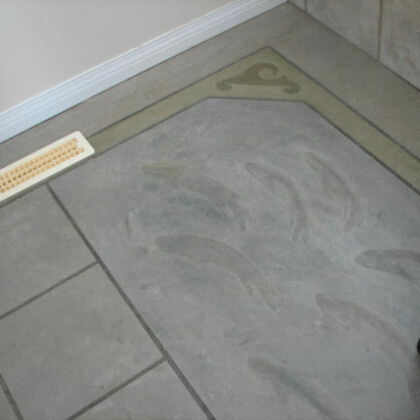 We are excited to include you as one of our newest potential clients. 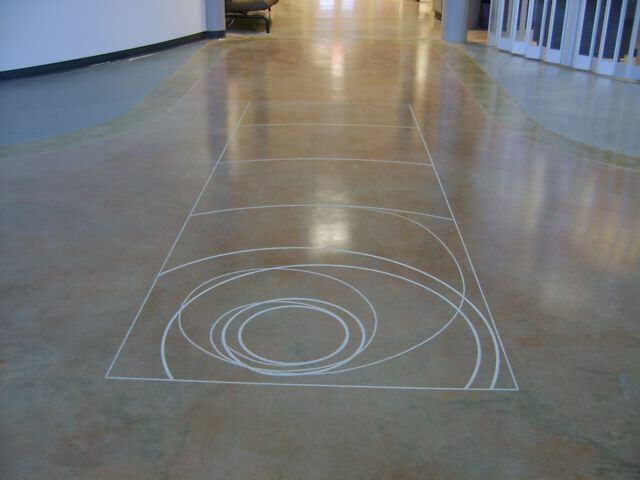 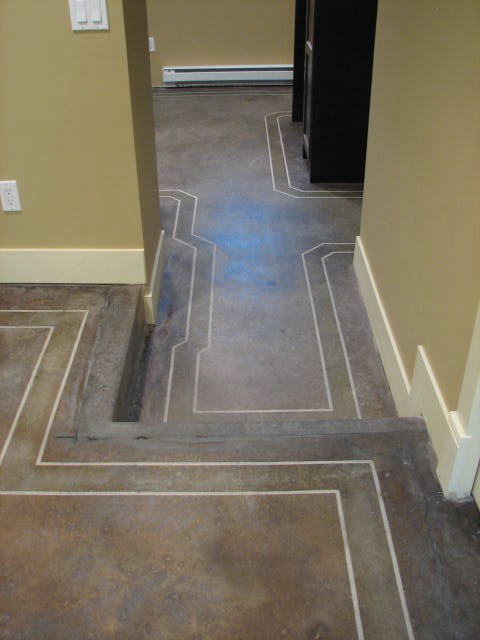 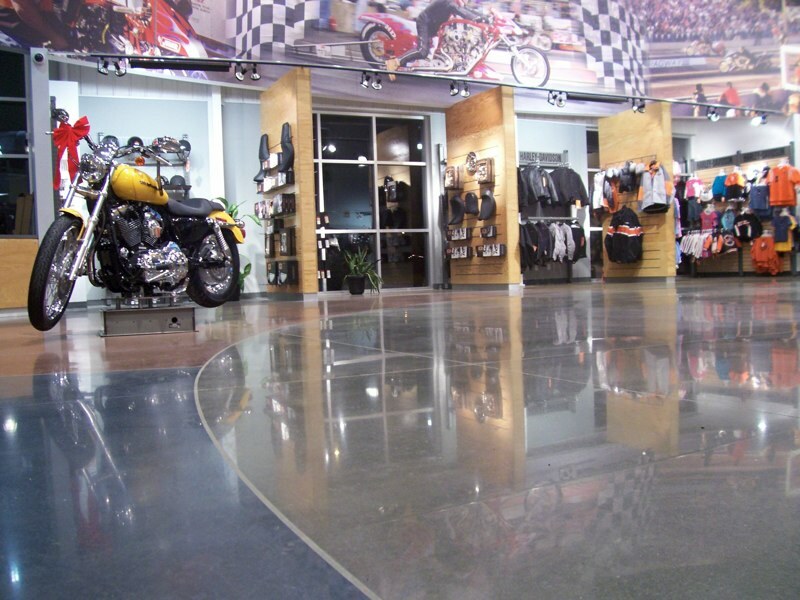 Today, more and more homeowners, retailers, architects, and engineers are choosing polished/decorative concrete as their finished floor of choice. 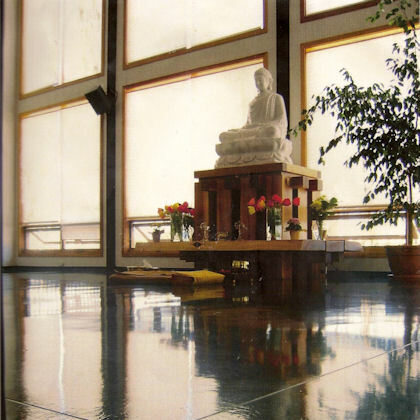 The reasons for this are various; durability, ease of maintenance, affordability, elegant aesthetics, uniqueness, light reflectivity, and Leadership in Energy & Environmental Design (LEED) compliance. 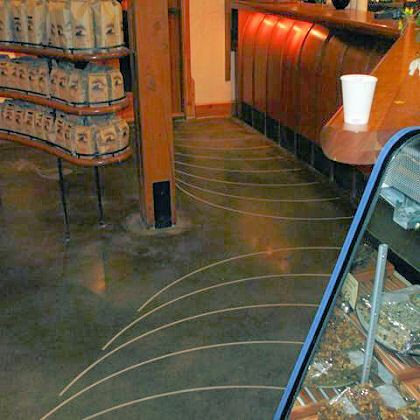 Everyone involved in both commercial and residential construction — including including Sunwise Systems — has grown extremely keen on LEED recognition in all areas of construction, including flooring materials and processes. 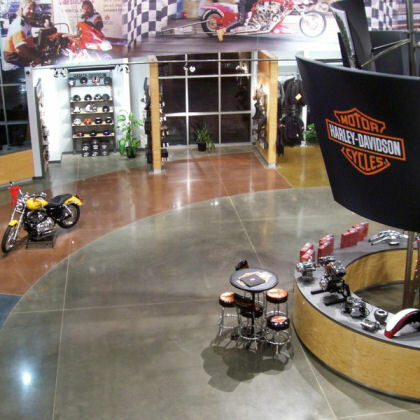 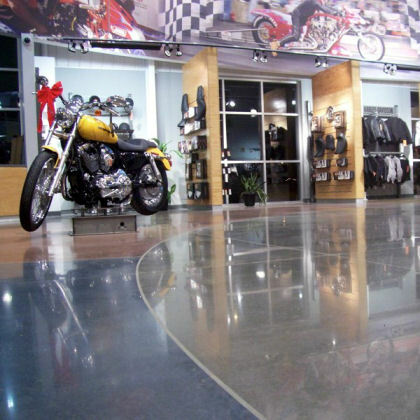 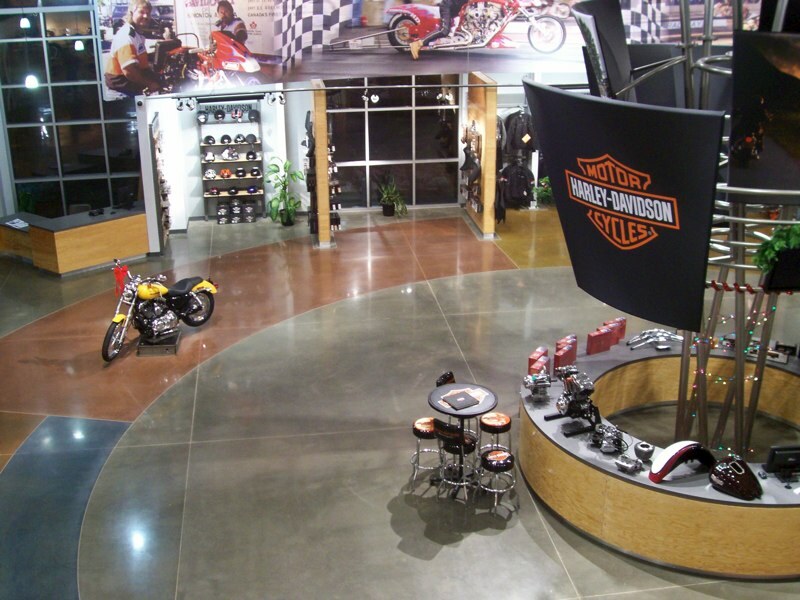 The Sunwise Systems processes combine the use of our proprietary polishing systems with the Diamabrush™ Concrete Floor Polishing System by Malish. 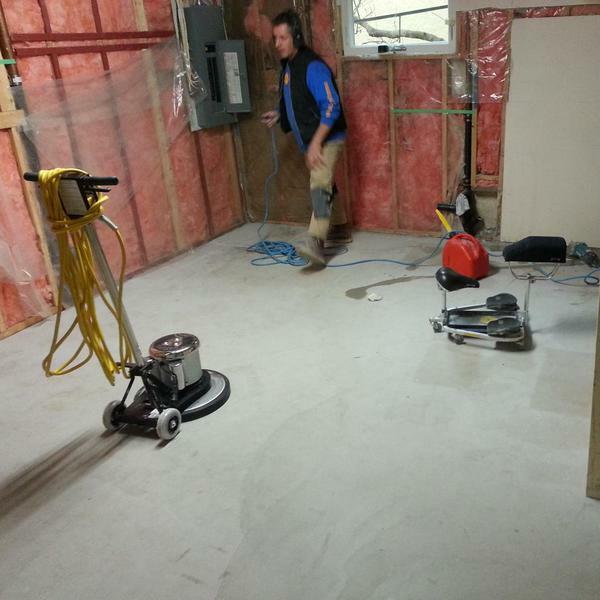 We begin with the basic cleanup of the concrete slab. 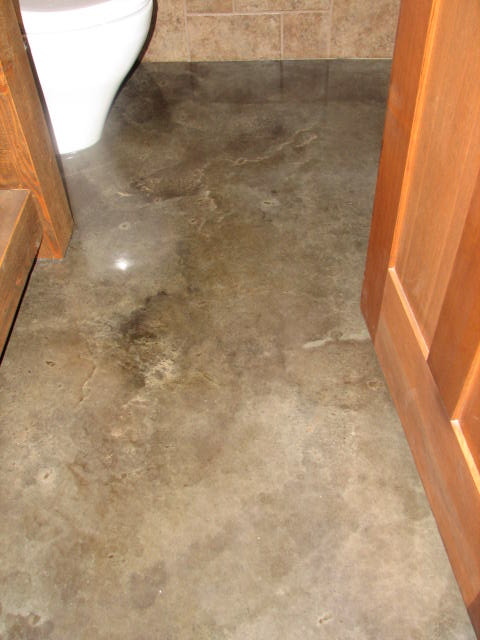 Every project is different and — according to how we read the concrete for its hardness, porosity, amount of cleanup necessary etc. 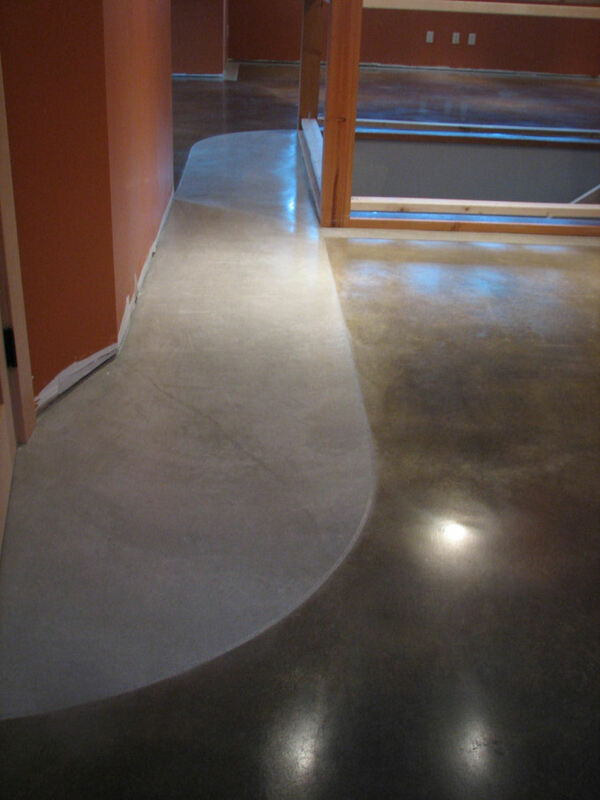 — any sealer, paint drops, drywall mud, etc. 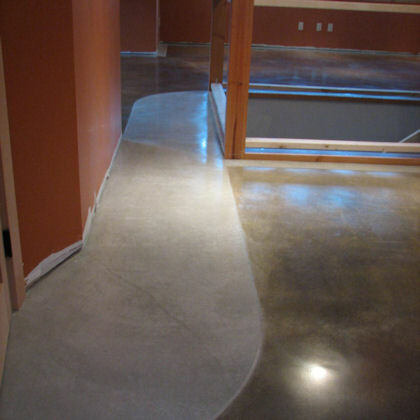 is removed with resin bond diamond technology starting with 30g. 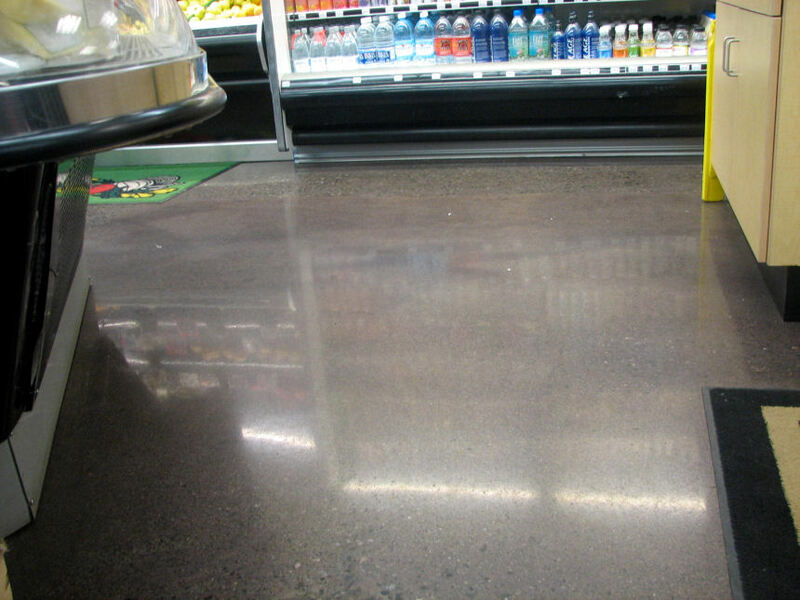 (grit), 50g. 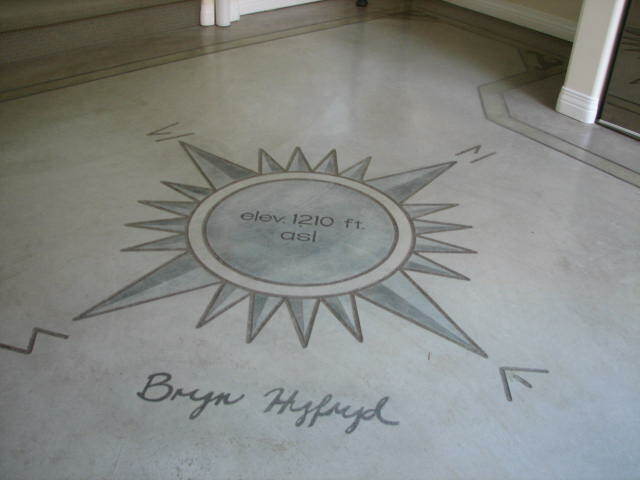 or 100g. 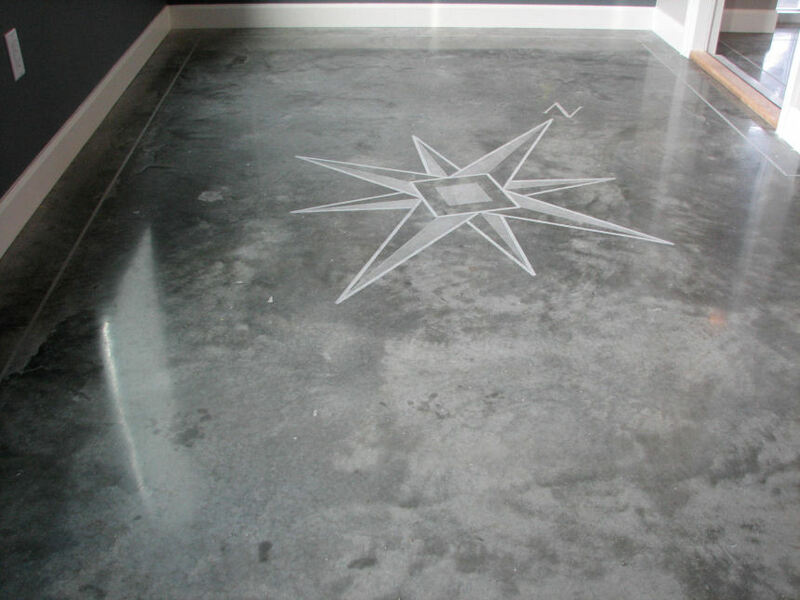 We prefer to work with marbled, hard trowelled concrete as it gives the best aesthetic compared to a soft floor which must be taken down to a more sandy aggregrate exposed look. 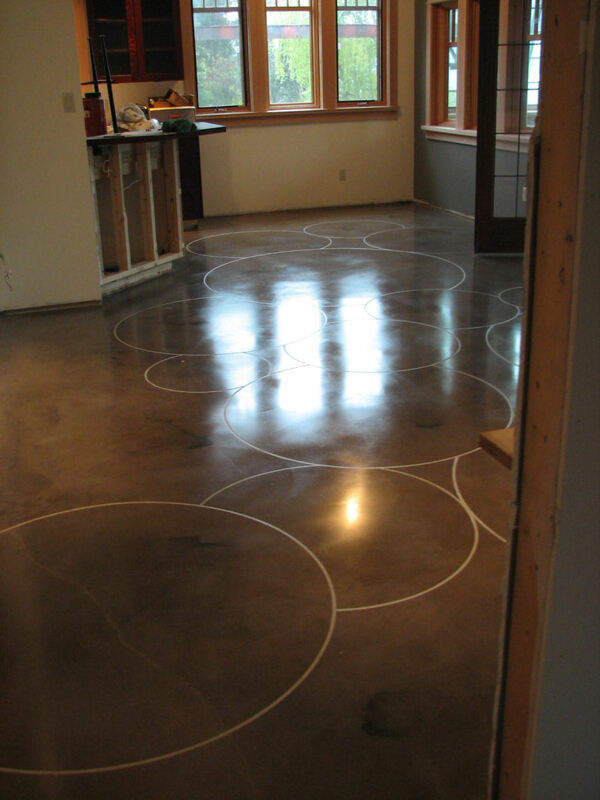 Next, any shrinkage cracks, small holes, or control joints are filled with a non-sanded cementitious material. 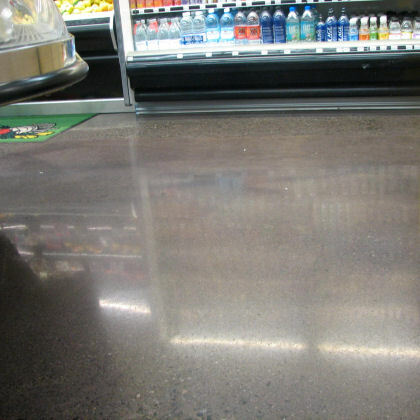 The entire slab can then be gone over with 200g. 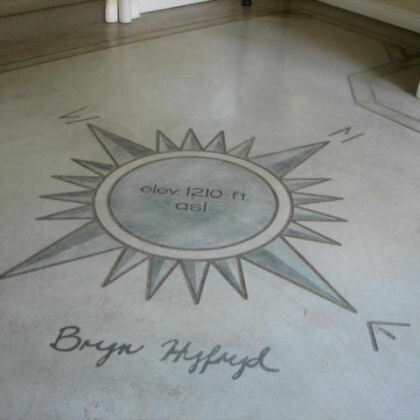 and 400g. 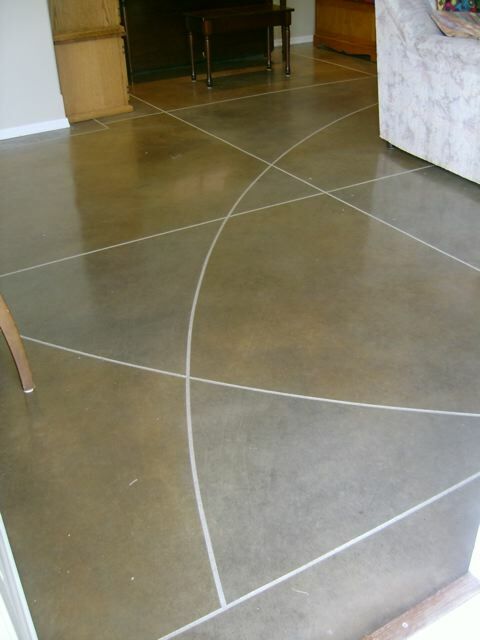 If desired, the concrete can now be colored using water based stains, dyes or chemical (acid) stains. 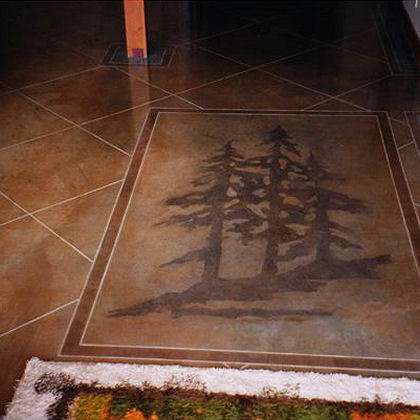 The colors are intentionally earth toned and subtle to fit any decorating style from the traditional to contemporary. 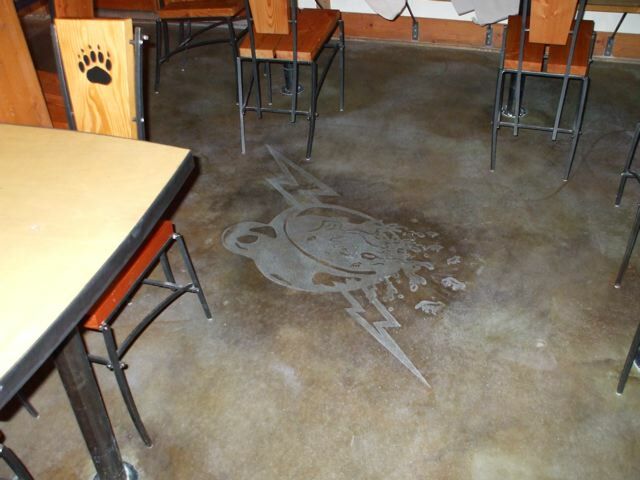 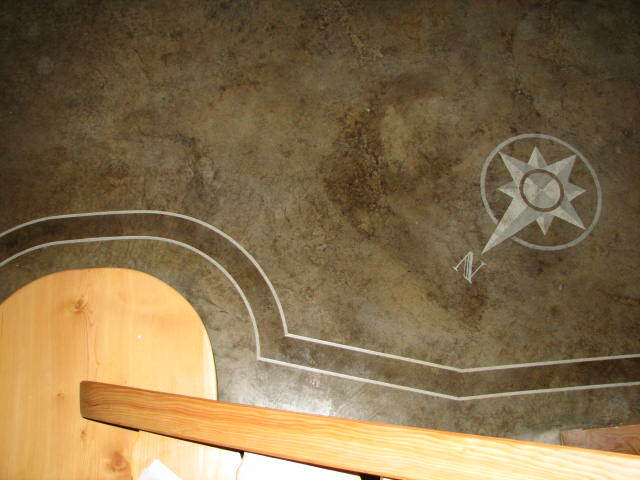 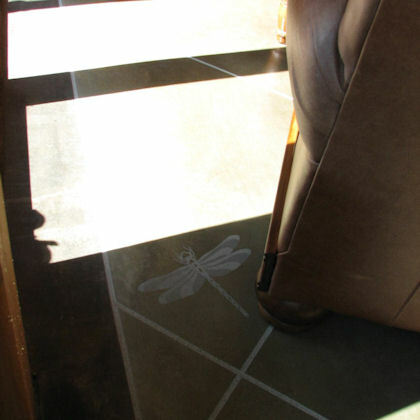 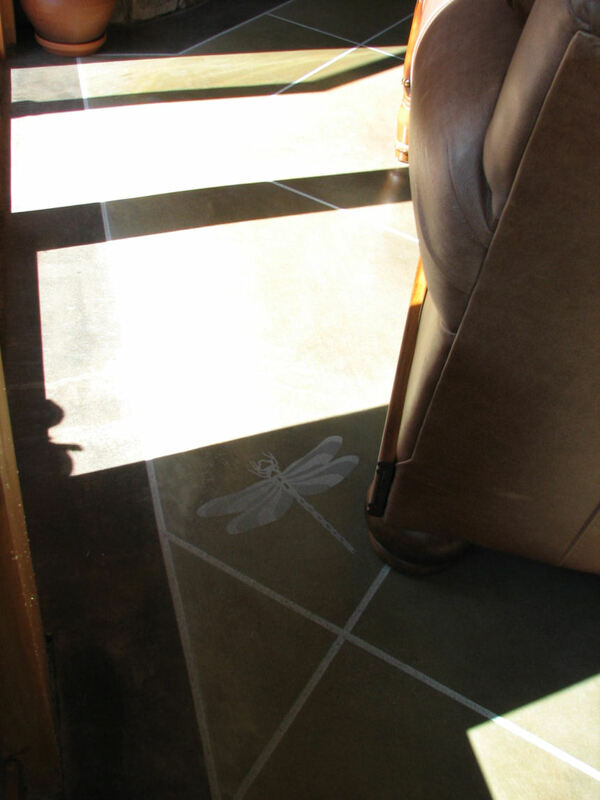 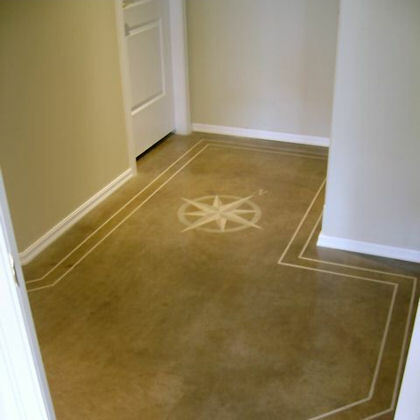 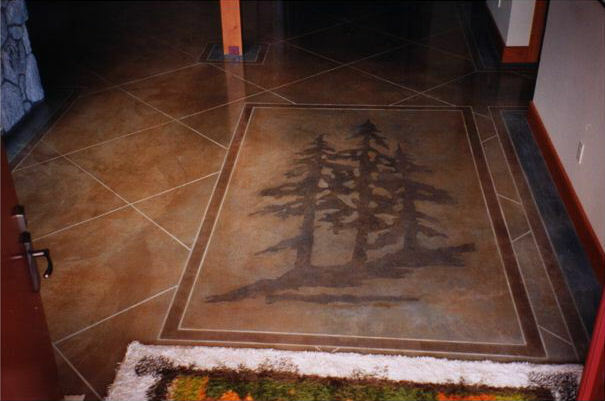 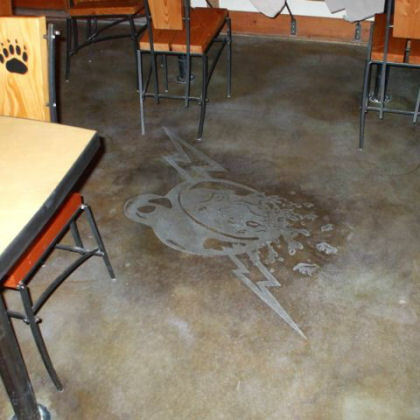 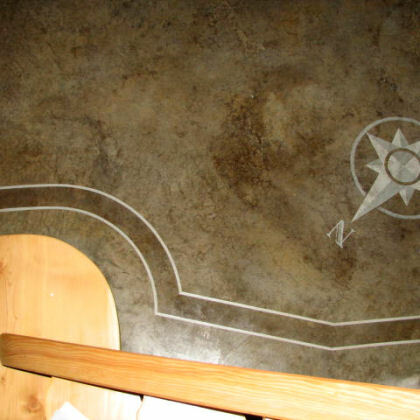 After the staining, images can be etched into the surface using strong acid solutions. 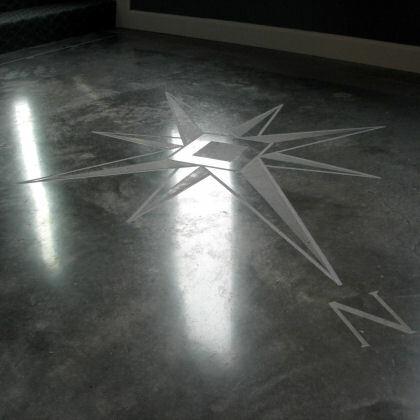 A wide variety of images specifically suited to particular projects are available. 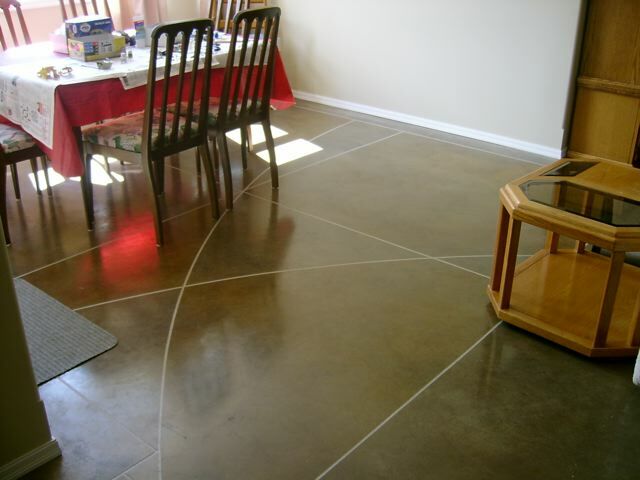 The concrete can be further polished to 800g. 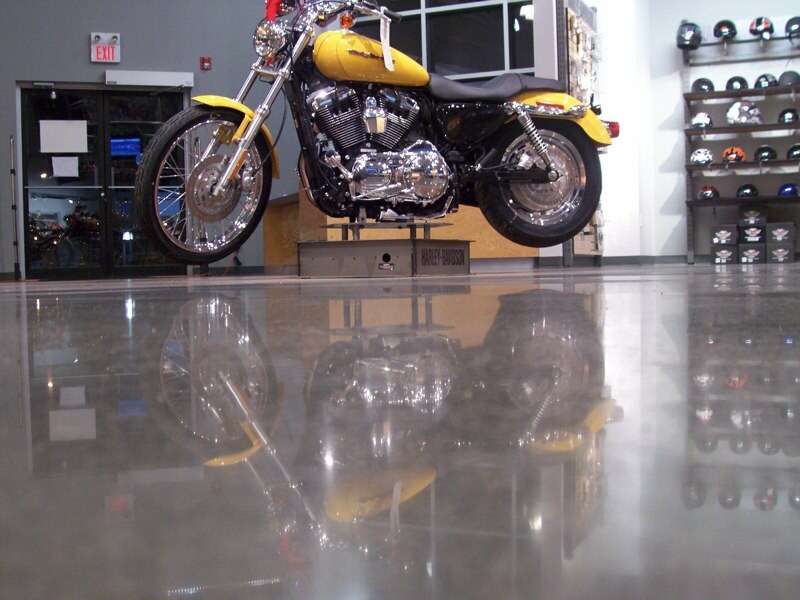 and Ultra High Speed (UHS) polished using the Patented Twister Pad Technology. 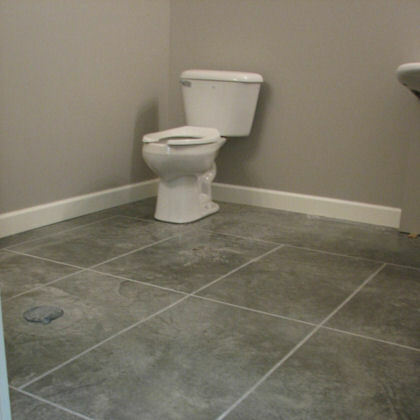 Project requirements differ widely from project to project. 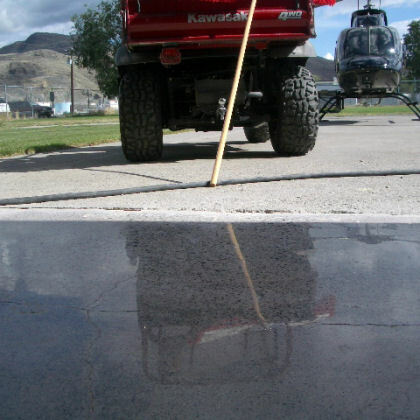 Commercial clients who see large amounts of foot/ forklift traffic may request to have the concrete densified using a lithum based densifier/hardener which can improve the slabs performance against wear and abrasion. 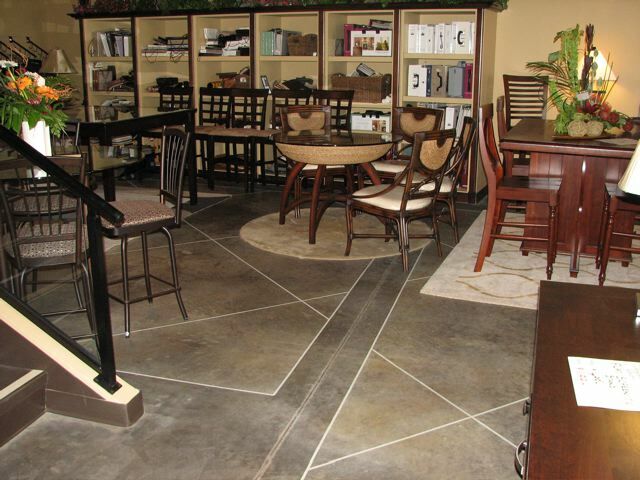 Generally, we at Sunwise reserve the densifying for commercial projects. 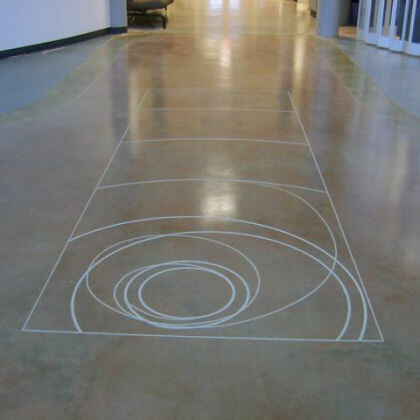 If desired, the client can next have Sunwise Systems cut decorative lines in the concrete using our proprietary SWS9 line cutting machine. 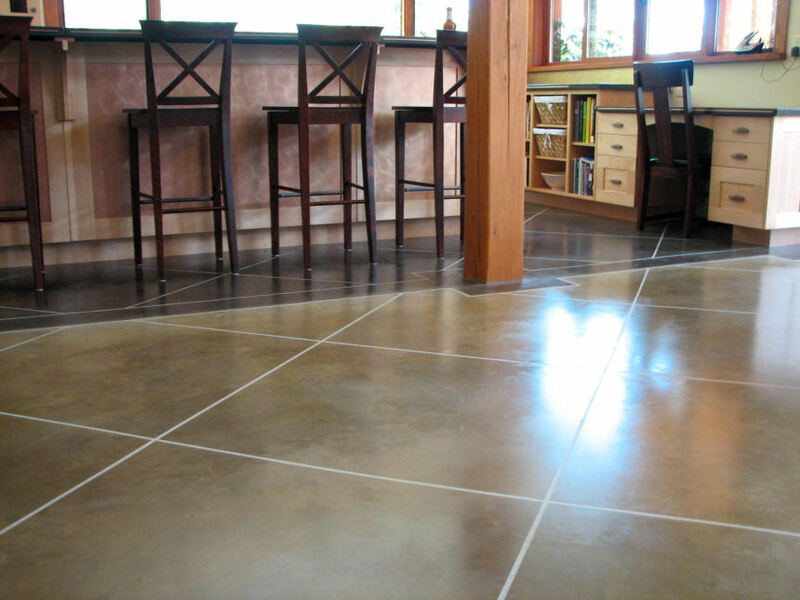 These cuts are shallow and slightly rounded and expose the aggregate below the surface yet do not trap dust or dirt. 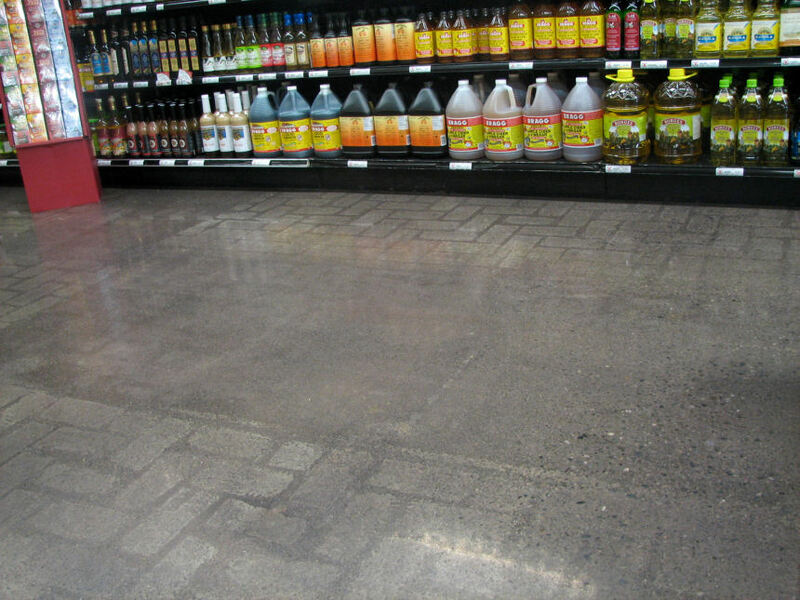 Finally, the floor is sealed with a water based product providing superior stain and slip resistance. 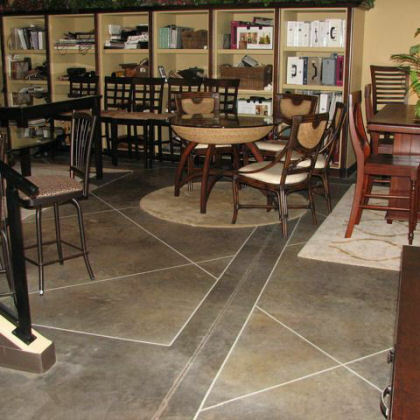 The final product is a beautiful custom floor — with benefits that compare favorably to other flooring options. 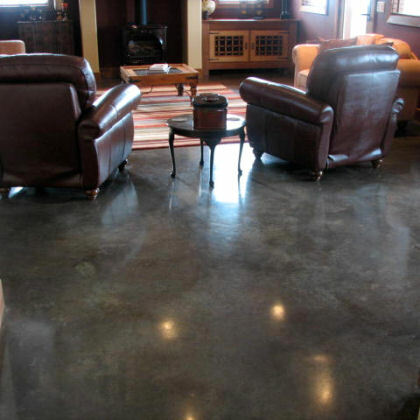 In addition to using sustainable materials, polished concrete does not require the use of hazardous chemicals, coatings, adhesives or cleaners, eliminating unhealthy off-gassing associated with other commonly used flooring materials. 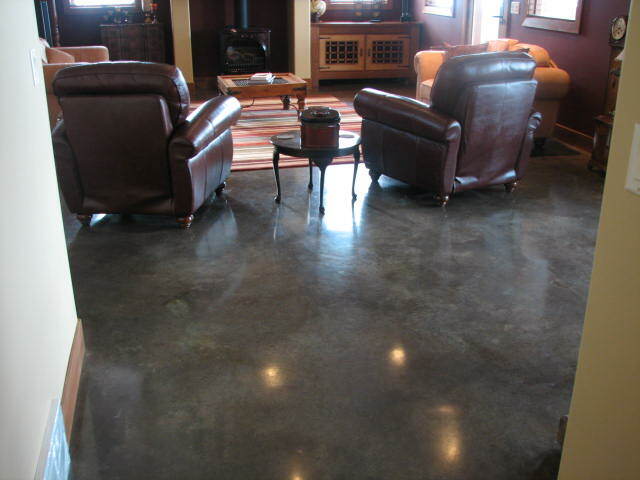 Polished concrete floors do not harbor dust and bacteria or support the growth of mold, and are easily cleaned with non toxic ph neutral cleaners. 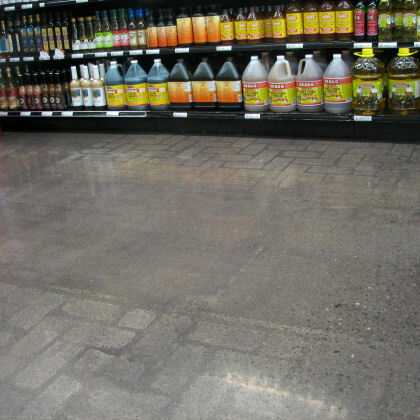 This — combined with the elimination of chemical stripping and re-waxing used in other types of flooring maintenance — improves indoor air quality while keeping harmful chemicals out of the waste stream. 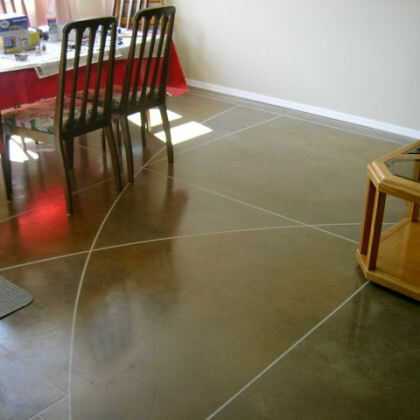 These positive attributes of polished concrete are major contributors to its popularity in the growing family of green flooring alternatives. 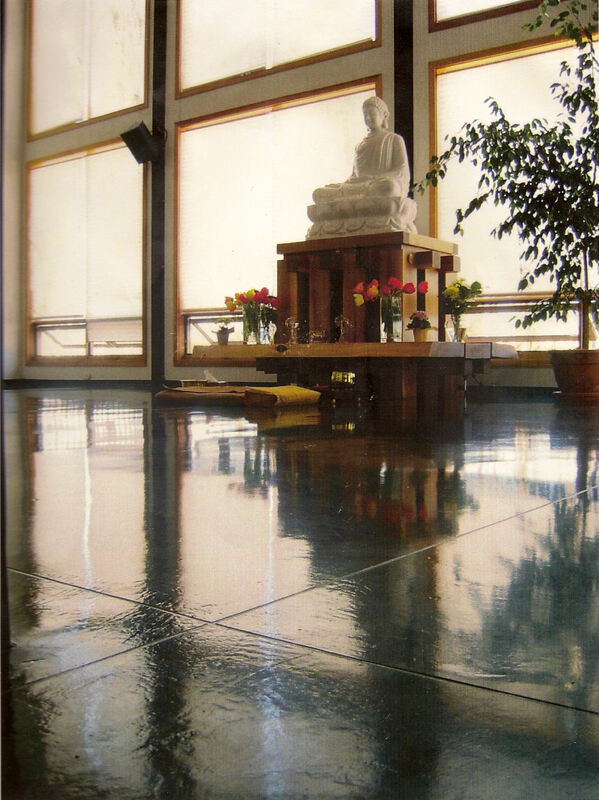 Another unlikely contributing factor to this new found favoritism is polished concrete’s exceptional light reflectivity: polishing concrete increases the light reflectivity of the floor by up to 30% thus reducing the amount of necessary light in a given facility. 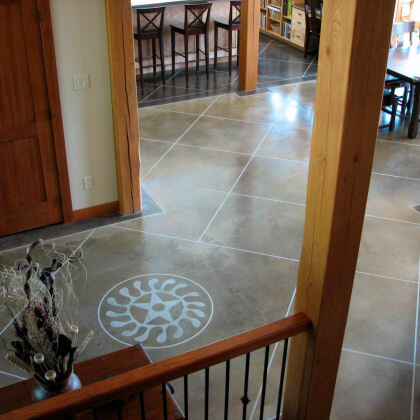 This reduces the energy consumption of the overall building. 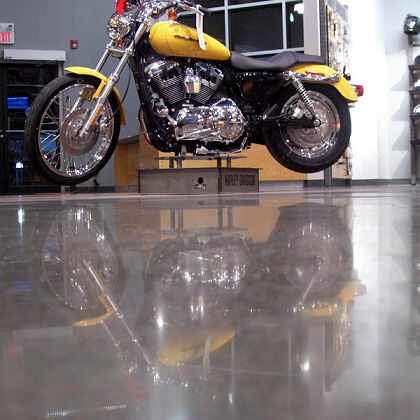 Not only are polished concrete floors easy to clean, requiring only occasional damp mopping with water and a neutral detergent, they hold up excellently to heavy traffic and abuse. 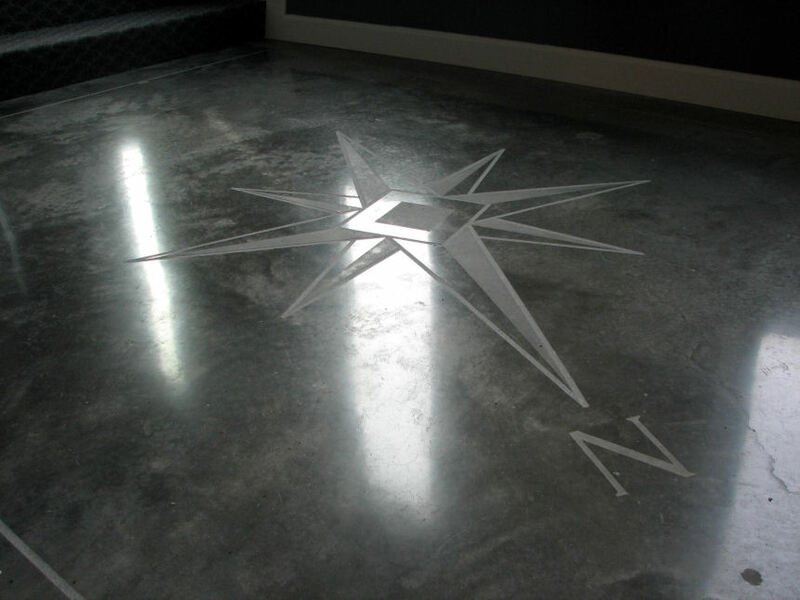 The high gloss factor eliminates the need for waxing or coating while superiorly resisting stains. 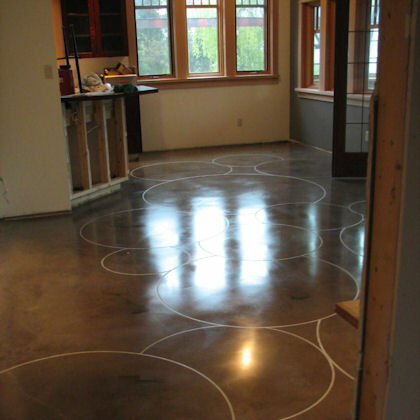 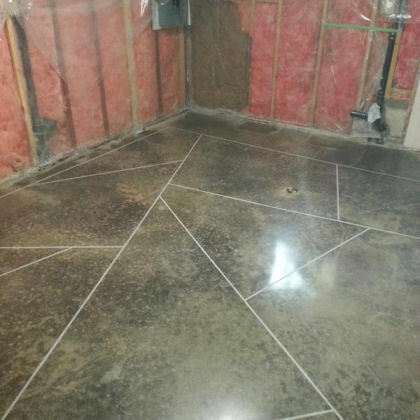 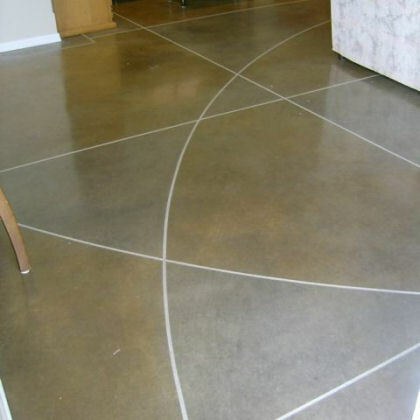 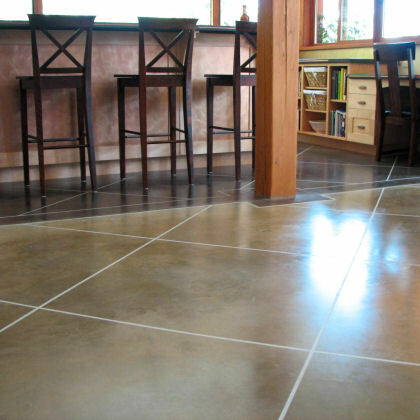 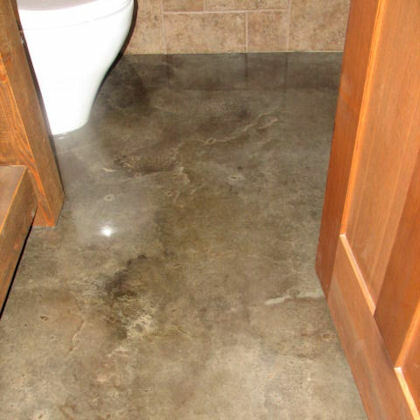 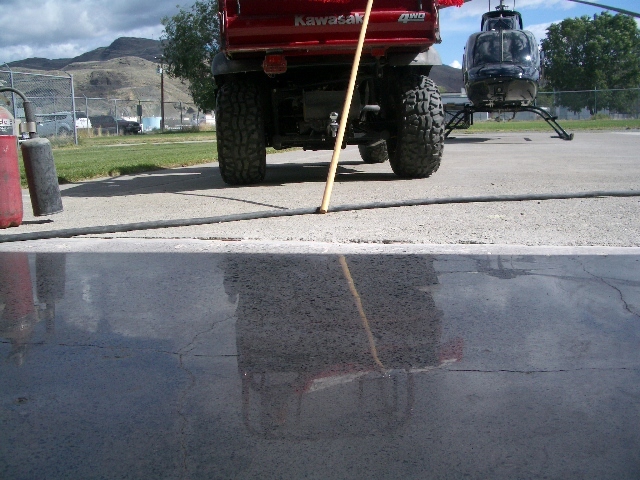 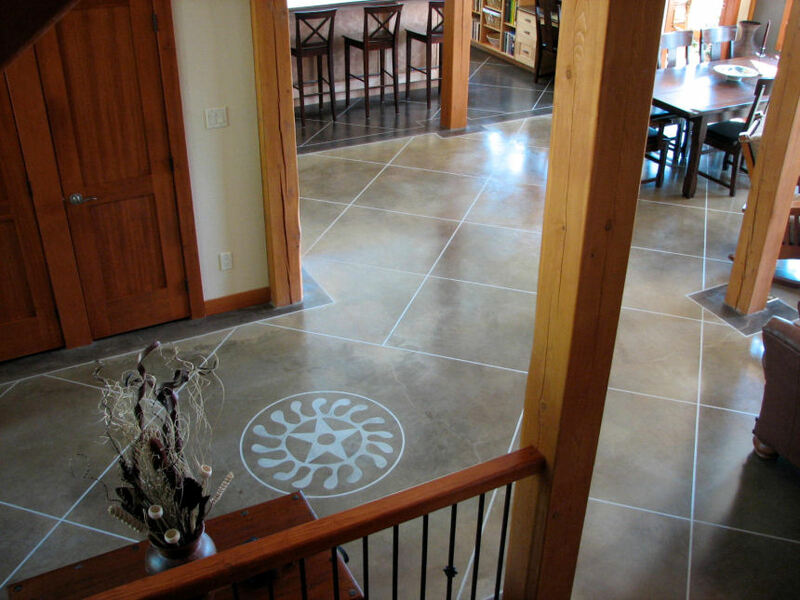 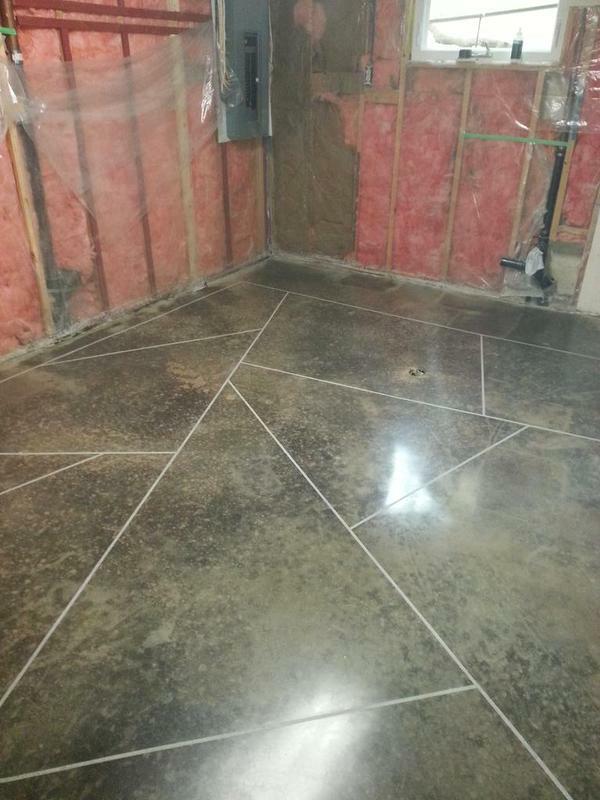 Polishing concrete produces an extremely dense, abrasion-resistant surface that will last a lifetime. 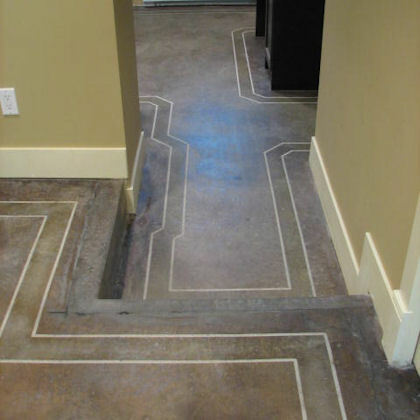 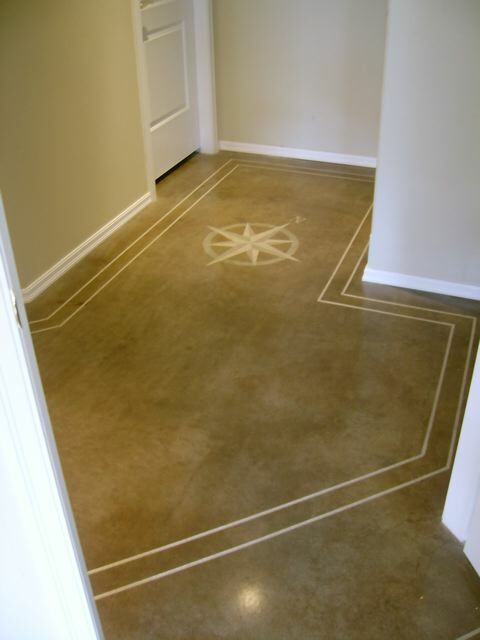 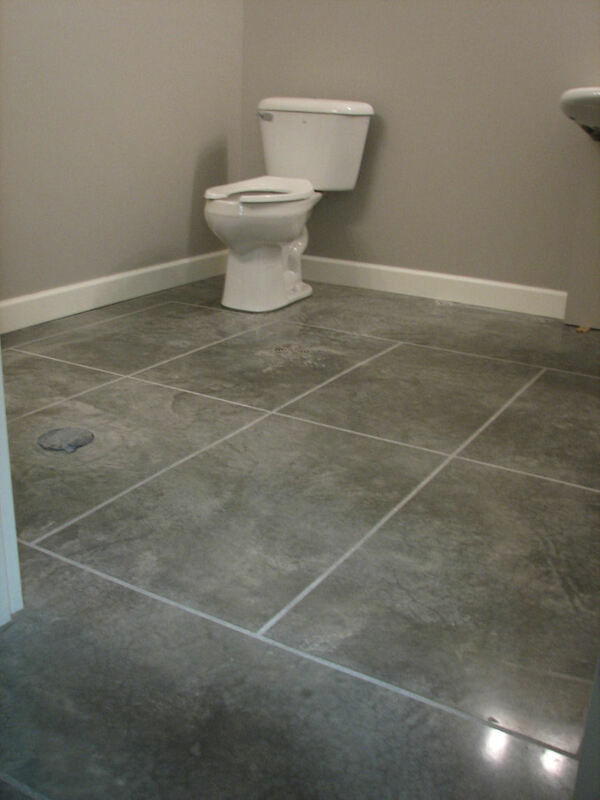 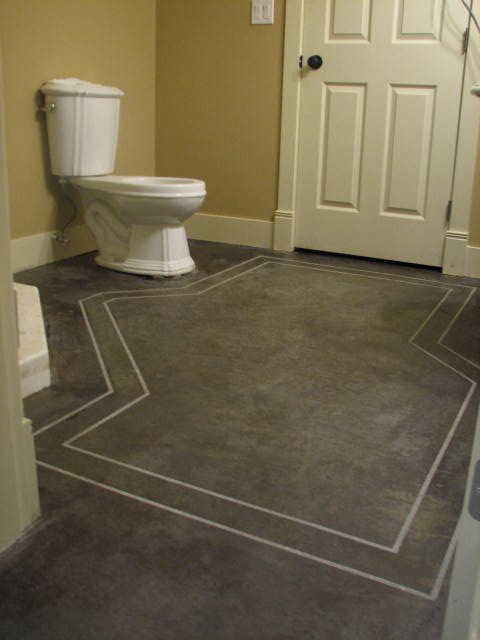 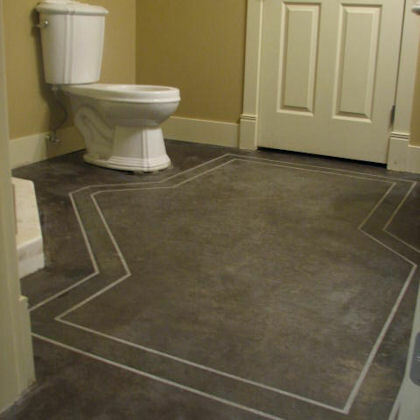 Carpet, tile, and even wood floors eventually need replacement, which uses up resources and creates disposal problems.